What is it that kids are doing online these days, and what does it mean for the shape of knowledge, culture, and information in the future? We all know that text messaging, MySpace, Facebook, YouTube are part of changes in how kids are communicating and engaging with media. But how much of this is really different from the kind of hanging out, sharing, and media consumption that earlier generations engaged with? The big challenge in looking at the space of youth and new media is disentangling what are just familiar social patterns dressed in new cultural clothing, and what are more fundamental changes in behavior. It's very easy to get caught up in the latest outrageous piece of Internet culture or the flashy new video game the is all the rage among kids these days. Are video mashups, MySpace profiles, and online games just this generation's version of punk rock? Is it an experimentation that they will eventually grow out of once they start losing their time to play with kinds of cultural expression, when they realize that their employers will check out their online profiles, and when they settle into the social patterns of adulthood? Or is there something more fundamental that is changing here? I'm a cultural anthropologist, and I've spent a good chunk of my time over the years talking with kids, playing games with them, and chatting with them online. I also spend a lot of time arguing that kids these days are not so different from earlier generations, and that what they do when they are hanging out online is pretty much the same as what an earlier generation did in the lunchroom, mall or video arcade. But today I want to talk about what is different about what today's kids are doing online. If I were to pick one thing that is profoundly different, it is the fact that making and sharing media has become so fundamental to how we communicate and relate to one another. And this ability to communicate through media is one of the most important new forms of literacy for the 21st century. Add to this the fact that this is a change that is happening internationally - among youth across a diverse cultural spectrum in countries that are part of the turn to digital culture - and you've got the making a a real global sea change. By this, I'm pointing to more than the fact that kids are using media like text messaging, IM, and social network sites to keep in touch with their friends. This kind of peer communication is really not so different than how kids have used the telephone or passed notes in class, and is about familiar patterns of friendship and romance that have structured teen life for many generations now. And I mean more than the fact that kids are posting, linking and forwarding all kinds of media online. Ever since we've had books to lend out, magazines to clip, and mixed tapes, kids have had peer-to-peer and many-to-many media sharing. Yes, online filesharing has changed the face of the media industry, but at the level of behavior, things are not all that different. In fact, the problem that media industries are facing is that this kind of media sharing feels so natural and commonsensical, and not a radical break from how people shared media in the past. What really is different, not at the technology layer, and not at the industry layer, but at the human layer, is how we use media to tell the stories about who we are, the stories that make a place for us in a social universe. What do I mean by this? I think the best way to start is by talking about Pokemon. 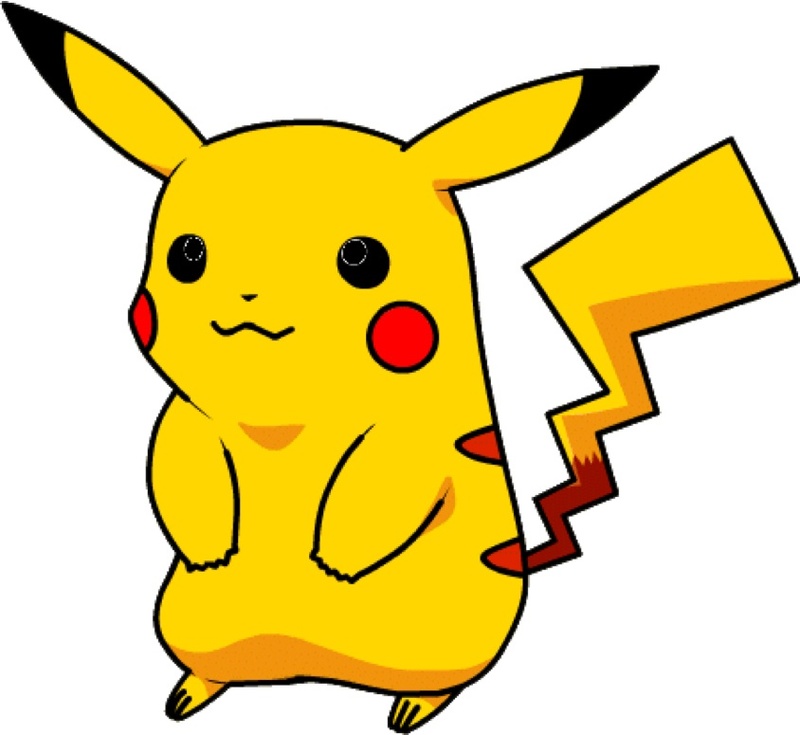 Pokemon was and still is a global media sensation that first swept childhood culture in the late nineties. The kids who are graduating from college now are the first post-Pokemon generation. These are kids who grew up with ubiquitous social gaming and convergent media as a central part of their peer culture. After Mario, Pokemon is the second most successful gaming franchise ever . Pokemon was a breakthrough media form in a number of ways. First, it created an integrated and synergistic relationship between analog and digital media, but in a way that positioned interactive gaming at the center of the transmedia enterprise. More specifically, it placed portable gaming formats of game boy and trading cards at the center of game play. What's so important about portable media is that it changes the kinds of environments, both physical and social, where gaming takes place. Gaming escapes the confines of the home, as kids carry their game boys in the car, to the park, or to school if they are allowed to. And this is not just about gaming infiltrating more and more physical settings, but about gaming infiltrating more social settings and relationships. Kids are gaming in more diverse places and with more diverse people when they are engaged with portable gaming media. The other day, I was on a plane with my son, who was about seven at the time, and he was playing Mario Kart on his gameboy DS. The teenager in the row ahead of us peeked through the crack between the seats to see what he was up to, and pretty soon they were racing each other, connected through the wireless connection of the DS. The fact that they were both packing a portable, connectable game device changed the social space of opportunity for them - it allowed them to connect with a stranger and transform the space of the plane into a social gaming space. The DS could have been a deck of cards too - but the key feature of the media is that it is portable, and that it involves social interaction. In addition to portability, the other important thing about Pokemon is that it developed a new format for the narrative content of a children’s series. The story centers on a game-like narrative based on the acquisition of Pokemon and knowledge about how Pokemon perform in battle. Currently there are almost 500 different Pokemon, each with it’s unique characteristics, powers, and ways of evolving. The series is not particularly complex in the ways we think of in traditional narrative, like character development and complex narrative arcs. But it is an incredibly rich knowledge ecology because of the sheer volume of esoteric content generated by the series. Traditional children's narratives have a very limited set of characters - a good guy, a bad guy, a sidekick, maybe a love interest. Creators of children's media assumed that kids couldn't grasp a whole lot of complexity. Pokemon blew that assumption out of the water. And it's not just that there is a lot of content. The key is that the content is about gaming and social action – in other words, the content invites collection, strategizing, and trading activity. It is media that mobilizes kids to do something with it. Marketers talk about this as viral or contagious media. For kids it means media that has social currency. When a kid pulls out a Pokemon deck or a game boy, you'll see a kind of flocking behavior - the media is the social glue, the common language that means you belong in the same cultural universe. After almost every basketball game that I take my son to, the boys pull out their game boys and start exchanging monsters, tips, and cheats about how to get ahead in the game. The same goes for birthday parties and sleepovers these days. Even with parties that my daughter is invited to, there will often be explicit instructions - pack your bathing suit, sleeping bag, and game boy. Media culture, and media devices are what Anne Haas Dyson has called a "ticket to play." Another way to think about Pokemon is that it is a social vocabulary, a set of tokens that kids can exchange to position themselves and gain status in the social universe. Just like any other form of language and literacy, this is a vocabulary that is shared among a social group. And just like other kinds of vocabulary, being literate means being able to read and decode the language, and the ability to express oneself. And this is what I mean by social communication through media making. When kids put together their pokemon deck, they put together a unique combination of characters and abilities that reflect a personal identity and style of play. They will debate the merits of having a deck focused on grass, water or fire pokemon, or centered on particular combos and strategies. For many generations people have socialized around media like books, television, music, and movies, and often creating deep person identification with the media content and characters. What is different about current interactive digital media, like pokemon is that personalization and remix is an actual precondition of participation. It is at its very core about engagement and communication. And remember too that Pokemon is a global media franchise - I'll return to that a little later in the talk. You might be thinking that Pokemon doesn't seem much like media making. Okay, it might be a complicated and rich set of media building blocks, but it is after all, just about recombining elements handed down by commercial culture. And while a Pokemon deck does involve a certain amount of cultural virtuosity and even creativity, it is hardly what one would call media authorship at least in the traditional sense. All this is true. But I like to think of Pokemon as training wheels for participation in digital culture. Let's take this a few steps further. As players get more sophisticated about their use of the tools and language of digital culture, communication with other players starts looking more and more like media making. Like all complicated games, Pokemon has a fan community that is highly mobilized online and exchanges game tips and cheats. Players also make fan fiction about Pokemon where they write about different stories using Pokemon characters. They might be on role playing boards where they write interactively with other fans on an online forum. Another genre of player generated text is the walkthrough, where a player will describe the steps to get through a game or a particular part of a game. These can easily run for 50 pages or more depending on the complexity of the game. A google search of a single pokemon game walkthrough will net you hundreds of thousands of results. Now you can also see these walkthroughs performed on YouTube. Kids will point their cameras at their DS screens and narrate as they move through the game. Here's an example of a YouTube video of a Dance Dance Revolution player to give you a sense of how gaming performance is shared online. If you go to youtube you’ll see thousands of videos like this for every imaginable game. Youtube is the new social gaming arcade for kids where they can look over the shoulder of other gamers. Gaming means performing identity using language of media. Usually this happens in everyday contexts of getting together but more and more of it is happening online now. Popular culture has never been something that people have sat back and absorbed as a passive audience. Books, movies, television, news, have all been media we absorb but also talk about as part of our everyday social communication. Today this kind of discussion and interpretation of media takes the form of making more media, and in turn, that media becomes a source of even more media making. And this isn't just gaming. As kids get older, they start focusing on other kinds of media. For example, popular music. You start with something from pop culture - let’s take Britney Spears. You may have seen a popular YouTube video made by Chris Crocker, where he makes a tearful appeal to the media to "Leave Britney Alone!" After this video was posted on YouTube, it was immediately taken up and remixed by other YouTubers. There were trance remixes, video responses, spoofs, and imitations. There was even an AOL commercial that brought together different Internet video celebrities including Chris Crocker, who is now known as the "leave Britney alone guy." When commercial media takes up these kinds of Internet memes, the feedback loop completes itself. These are new kinds of loops of communication and media sharing that are part of the popular culture of a new generation. I was clued into this particular Internet meme by the kids at YouthLab who curated a program of YouTube videos. This kind of riffing on popular media is what we've been seeing a whole host of different kinds of remix and mashup culture that has become much more visible around the world, fueled by the growing availability of of digital media production tools and online sharing. I've been working with a team of researchers conducting a survey of digital culture in countries around the world. We've been looking in part at countries that our not part of the usual high tech East Asia and Euro-American axis. What we've learned from this is that there is tremendous variation in the degree of penetration of digital, networked, and mobile media, but when a certain point of adoption is achieved, we start seeing similar kinds of practices in communication and media making. One colleague of mine, Cara Wallis has been looking at the case of China. There too we are seeing a huge wave of mobile phone and online game adoption, and also the emergence of various remix cultures. One example that really captured the popular imagination was a photo of a boy who came to be known as little fatty. It all started with a photo taken of this chubby boy giving a sidelong glance, and it was posted on the Internet. 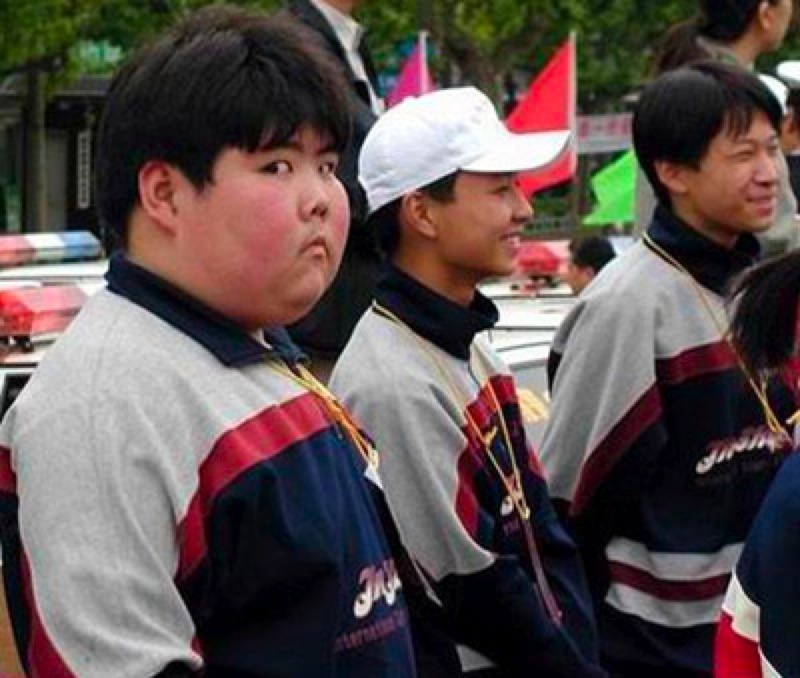 The image of little fatty started inspired a viral photoshopping phenomenon that spread through the Chinese Internet. He's been photoshopped into images ranging from hollywood movies to Japanese anime characters to European fine art. There are even rumors that little fatty is going to get a role in a movie based on a Chinese novel being produced by New Line Cinema. 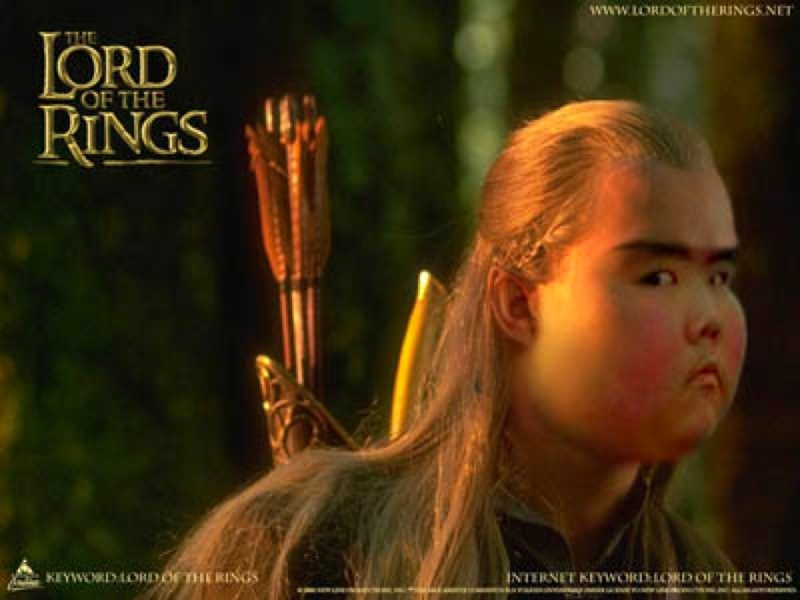 What's interesting about the little fatty phenomenon is that it involved remixing an image of a local Chinese boy and referents from popular culture from a host of other countries. It shows the ways in which this kind of mashup literacy is deeply embedded in a transnational popular culture. Let me give you another example of this. For the past few years, I've been studying communities of anime music video (AMV) makers. AMVs are remix videos that involve taking Japanese anime and remixing to a soundtrack of the editors choosing. Usually this is popular Euro-American music, but it may be the sound track of a movie trailer or dialog from a U.S. movie. What's common across these videos is that they involve remixing of the visual media, and mashing it up with audio media from another culture. So AMVs are media mashups as well as cultural mashups. Here is one example that has been very popular on the Internet. The Race is a video made by a French graduate student who is now doing research in Japan. My guess is that his interest in anime is not incidental to his interest in Japanese culture. Anime fans are part of a global post-pokemon subculture, and they look to the cult media of anime for a common vocabulary that unites them across national boundaries. Popular media becomes a kind of culture ambassador for young people. Social network sites, text messaging, pop music, martial arts, anime, WoW, wizards, warriors, Pokemon, fast cars, samurai, ninja, superheroes and robots are all part of a mashed up global youth culture. The globalization of popular culture has historically been about big media industries, like the Hollywood movie industry, exporting their products overseas. But more and more, this transnational flow is happening because of fans and audiences. In the case of anime, one of the primary reasons why it is so popular overseas is because there is an international community of amateur subtitlers, known as fansubbers. Fansubbers capture anime being broadcast in Japan and translate, subtitle, and release it over the Internet to millions of fans worldwide. These amateur groups are much faster than the official overseas licensing industries, and reach huge audiences. In fact, the fastest groups release their subtitled anime within 24 hours of release in Japan. For the groups subbing the most popular series, they can easily get hundreds of thousands of downloads within hours of their online release. While this peer-to-peer traffic in anime has posed some challenges to the anime industry, particularly for the overseas licensing industries, few would dispute the fact that the availability of fansubbed anime is one of the primary reasons why there are so many overseas anime fans. All of these mashup and fan cultures illustrate why it is so crucial that people have the freedom to appropriate, reuse, reframe, and circulate media as part of their everyday communication. Commercial media has become such an integral part of our everyday vocabulary, culture, and imagination. This wasn't so much a problem when most of our communication about media was conversational, when we talk about the latest music or movie with friends and family. But now that we are communicating with friends and family in online media, it becomes problematic if we can't circulate and cite commercial media as part of this everyday communication. Whether it is photos from last night's party or the latest snippet from Colbert, young people expect to be able to reference and traffic in these media as ways of expressing who they are. With visual and audio media, we face so many restrictions on what we can download, remix, and share, and our social norms for what is appropriate are out of step with the legal rules, at least in the U.S. And as remix culture is getting more and more global, U.S. standards for copyright and intellectual property are becoming increasingly difficult to sustain. We can't put the genie back in the bottle. Young people today expect to be able to appropriate and circulate media for their own self-expresssion. One reason why it feels so natural for kids to traffic in media culture in these ways is that they are also making their own media content on a routine basis. Kids are remixing commercial content, but also making their own. Even something as simple as a comment on youtube or or exchanges on an online forum become and act of media making because it is taking place in a public and persistent online space. Everyday conversation, personal photos and videos and journal entries are archived online and viewable by others. They've become part of public media culture just like commercial media has been. This becomes particularly significant with the growth of mobile media. With mobile media, the ability to capture and share media is always close at hand. The mobile phone is a device that allows for lightweight and ubiquitous capture and input of media, as well as lightweight sharing because the media is stored on the device. Japan was one of the first countries to have widespread teen adoption of mobile texting. This started with the use of pagers by teenage girls in the early nineties. These same kids moved on to text messaging on mobile phones in mid nineties, and eventually to the mobile Internet in the late nineties. Kids in Korea, the Phillipines, and Northern Europe were not far behind. In a wide range of high tech countries, as the price point of mobile texting dropped, we saw a huge wave of mobile phone adoption by youth. While kids in Japan and Northern Europe were taking to their mobile phones to stay connected with their peers, US youth were starting to use online journal sites and chat programs like ICQ and AIM. Eventually sites like Friendster, MySpace, and Facebook burst into the youth online communication scene, heralding a second wave of youth adoption of networked media, this time centered on the US social media space rather than mobile communications. Although the technologies that young people are using are quite diverse, the social practices they are engaged in are very similar. Whether it's with mobile texting, instant messaging, or facebook messages, young people have taken to digital media as a way of keeping in constant contact with their friends and romantic partners. In talk about kids these days, there's been a lot of concern that there's been a dumbing down, particularly in terms of text-based literacy. Grownups point to the bad spelling, the abbreviations, and the constant multitasking of young kids and worry that they will never learn to read or write propetly. When I was researching text messaging in Japan a decade ago, I heard adults voice very similar concerns. My colleague Daisuke Okabe and I spent a lot of time looking through the text message logs of teens back then, trying to figure out how these new writing practices were integrated into their everyday social lives. The first thing that is important to understand, whether it is text messaging over mobile phones or comments on a MySpace profile, is that this is writing that is first and foremost about establishing social connection and presence, not necessarily about communicating content. Wassup? I just ate a hamburger. It's raining outside. These are not messages meant to convey meaning and much as to inhabit a shared social space. It's like when I'm in the living room with my husband while he's reading the paper and I'm playing a game with my kids. If he chuckles while he's reading, or I start arguing with the kids, we each have an ambient sense of the other, even though we may not be engaging in a direct conversation. It's like that with mobile communication. Sometimes kids will have a chat like exchange or phone call to have a focused conversation, but most of the time it's just the exchange of sweet nothings or status information. I’m here. I’m with you. I’m thinking about you. The second thing to understand is that this kind of low key, everyday, interstitial kind of writing is starting to develop into new genres of writing that do look a lot more like traditional forms of creative writing and literacy. Even in the early years of mobile email, kids in Japan started to write what they called merumaga, or mail magazines, which were basically emails that they sent out to a list of friends. These were a lot like what kids in the U.S. were doing on sites like Live Journal or Xanga, writing about their everyday life in a journal format. With the advent of the mobile web in places like Japan and Korea, these forms of writing are taking place on personal web pages meant to be accessed by mobile phones. Kids can tap out content for these merumaga or online journals in the in-between spaces and times of their life, and they can also read and access this content in these lightweight ways as well. More recently, what we've seen in Japan is the rise of a new genre of the cell phone novel. These are entire book-length stories that are written on mobile phones in short installments, and meant to be read off mobile phones as well. In 2007, the year that cell phone novels really took off in Japan, four of the five best selling books of the year were in this genre. These novels are written predominantly by young women in Japan, and they are most often stories about the everyday lives of teenage girls, centered on issues of friendship and romance. In other words, it's a genre that is very much grounded in the kind of writing that has emerged from the everyday social communication of Japanese teens, though it has evolved into a highly successful new genre of commercial fiction. What I want to stress is that these cell phone novels came from somewhere - they weren't a lone act of literary genius. They were built on the existing social and cultural practices of young people exchanging text as part of their everyday lives. Text messaging is to cell phone novels what pokemon is to remix video. It's an on-ramp to digital literacy. It's about shared culture and social practice that enables new forms of creative expression. Let me give just one more example of how the space of mobile media is feeding into these new forms of creative expression. In the year 2000, camera phones were first introduced into Japan. My colleague Daisuke and I did a study of camphone use a few years later, after it became clear that this was a technology that was seeing widespread youth uptake. What we found most interesting about camera phones was that it was fostering a new kind of awareness of the visual environment among young people. Now that they had the ability to take photos in a very casual way, as well as share photos with their friends in a casual way, visual information was entering the stream of everyday conversation in new ways. In particular, we saw some kids developing a sense of being amateur photojournalists, documenting things in their everyday lives. Sometimes this would be more artistic, like an interesting landscape or object. Or sometimes this would be a small bit of news, like a really nice pastry that they ordered at a local cafe. At other times, this would be a kind of amateur tabloid journalism, when they captured their friends doing something particularly stupid or silly. In all these cases though, it meant that kids were constantly aware that the visual information in their environment could be captured for sharing with others, much as a journalist is always on the look out for something newsworthy or shareworthy. I'm not saying that these kids are necessarily going to be on the scene of a major car crash or terrorist event that is newsworthy in the traditional sense. Instead it's more that they are capturing and sharing pieces of their life that are newsworthy at the personal level, to themselves and their friends and family. And that it is being shared in this always connected space of mobile and online communication. Sometimes capturing these events can have broader consequences both locally and more broadly too. We've seen a few examples of kids capturing moments when they were harassed by police or inappropriate behavior of teachers in their classroom. This is another example of how kids are creating media that documents their everyday life, in ways that can circulate and have broader consequences. It's a kind of activist media that reports on the oppressive conditions they encounter in their everyday life. Just like with the game boy for younger kids, the mobile phone has become a crucial part of the identity infrastructure for teens. And this has happened in a wide range of countries were the economic and infrastructural conditions have supported teen adoption of portable media of this kind. And once these social practices of ubiquitous, mobile media sharing are established in the culture, the mobile device becomes a truly indispensible part of young people's identity toolkit. 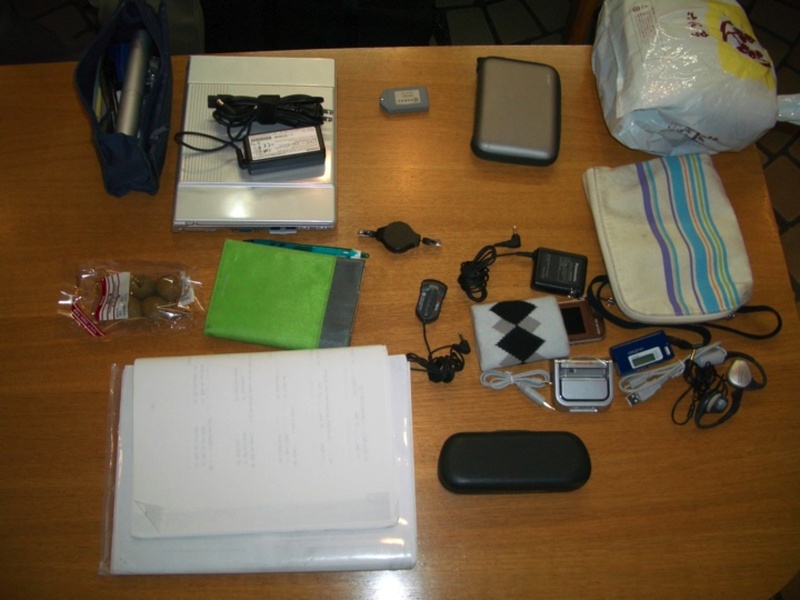 A few years ago I did a study with some colleagues at Intel research where we documented what young urbanites in Tokyo, Los Angeles, and London hauled around with them as they went about the city. Despite the wide differences in culture and urban infrastructure, what young people carried around with them was remarkably consistent. Nobody leaves the house without their mobile phone, keys, and wallet. But on top of that we saw a real proliferation of media devices that people were carrying around with them. Even if they had a mobile phone with a camera and loaded with games and other content, they would likely be carrying a music player, and on top of that a digital camera, a digital video camera, a book, a planner, and a game device, maybe even a laptop. Our identities are becoming so wrapped up in the media we consume, create, and share that we can't leave home without them. This proliferation of portable media is the real embodied consequence of what it means to live in a networked, media saturated world. What I've tried to describe for you in this talk are the underlying human reasons why we are so attached to these devices and the media that they carry. Okay, I've given you a lot of examples, a lot of stories, but what does this all mean for the work of designing information services and infrastructures of the future. First, Literacy and communication will rely more and more on sharing visual and audio media. People will demand mechanisms to be able to freely appropriate and circulate both commercial and amateur media in a wide variety of formats. Add to this the fact that now the dominant mode of media making and circulation is happening at the amateur and everyday interpersonal layer, not at the commercial media layer. This has tremendous implications for the shifting relationship between professional and amateur media. If you want to build on this energy in the amateur media space, look to visual media and build for personalization, appropriation, remix, and open sharing. The other thing to expect is that media culture will be increasingly global. But it’s important to be careful and specific here. Kids are more and more growing up experiencing similar social patterns of communication, but the specific platforms and online sites that are using are quite diverse. Also, it is important to recognize that it’s only certain kinds of content that travel across national boundaries At the personal layer, at the layer of kids everyday lives, you can’t expect content to travel much. Kids in China are not going to suddenly develop an interest in what kids in the US are doing in their lunchrooms. Only certain kinds of media travel across national boundaries, and intimate personal media like online journals and camphone photos are not among them. So behavior is similar but platform is not necessarily, and personal media not usuall. By global at the content layer, I mean instead that there are going to be very specific kinds of cultural referents that travel. And these are usually content that is stripped of national origin and have a kind of global identity. Koichi Iwabuchi, who studies media flows across Asia, has described this as a process of deodorization. One reason why anime travels well and Japanese dramas do not is because anime doesn't have the same cultural odor that live action does. The fantasy settings and characters are stripped of most direct reference to everyday Japanese culture and people. We know that ninja and samurai came from Japan and knights in shining armor came from Europe. But it's totally unremarkable now for a Japanese game design company to make a game based on medieval fantasy and it's probably more likely that the next samurai movie is going to be made by a Hollywood director and not a Japanese one. It’s this kind of mashed up popular culture that is the shared cultural glue for a global youth culture. Related to this, when we think of media literacy, technical literacy, and information literacy, it may be tempting to focus on what we think of as "serious" uses. Are young people able to use computers? Can they formulate a proper search query? Do they engage with news and online deliberation? These are all important questions. But what I've tried to argue here is that today's media and information literacy is first and foremost about social communication and cultural identity. This might involve engagement with political issues, it might involve gossip, or it might involve engagement with Pokemon, but it is about social belonging in a world that is saturated with media both of the amateur personal and the professional commercial variety. I hope, for all of you architecting the information systems of the future, you'll take a moment to take popular culture seriously, and build systems that will support not just the exchange of serious information but pleasure, play, and joy. Don't assume that content and communication is going to stick to established categories of personal or commercial media, or play and work. In fact it is the flow between the serious and the playful where we are seeing so much energy and engagement. I want to end with one last example and a cautionary note that speaks to this last point. In Korea, ‘Candlelight Protests’ were organized against American beef imports last spring and summer, resulting in calls for president Lee Myung-bak's impeachment and the largest protests S. Korea has seen in 20 years. Over a million people took to the streets, and an estimated 60-70% were teens. Teenage girls in particular were central to this protest movement and were dubbed "candlelight girls." The Korean candlelight protests have been held up as an example of youth mobilization with social media as they organized in a highly distributed fashion through a variety of online sites and text messaging. What's interesting about this example is that it involved teens bonding around the real conditions of their everyday lives - their experience of the educational system and issue of food safety. This kind of widespread social mobilization is just one example of the side effects of young people being constantly connected with their peers through networked social media. The story of the candlelight protests isn't just about kids bonding over the conditions of their everyday lives. It also involved connecting through a shared popular cultural imagination. HyeRyoung OK, one of the postdocs I work with, has been following this movement since her research focuses on mobile media in Korea. But HyeRyoung also happens to be a fan of a certain popular Korean boy band, Dong Bang Sin Gi. The fan club for this group, Cassiopeia, has 800,000 members, making it one of the largest fan clubs in the world. As she was hanging out on the online forums associated with her fannish interest during the period of the candlelight protests, she saw that the young women fans of this boy group were mobilizing to attend the protests. They carried placards saying "We don't want our boys to get sick because of made cows." Their participation in the protests was grounded less in the concrete conditions of their everyday lives, and more in their solidarity with a shared media fandom. The lesson here is that you should never underestimate the power of peer-to-peer social communication and the bonding force of popular culture. Although so much of what kids are doing online may look trivial and frivolous, what they are doing is building the capacity to connect, to communicate, and ultimately, to mobilize. From Pokemon to massive political protests, what's distinctive about this historical moment, and today's rising generation is not only distinct form of media expression, but how this expression is tied to social action. I appreciate you reinforcing the focus that it's aboout social connections and identity, regular kinds of kid-stuff and not about content. When you put it in terms of the past, "how kids have used the telephone or passed notes in class, hung out in lunch rooms and malls," you provide a valuable conection point. Adults get it. In my world of working with adults using technologies for teaching and learning mostly in higher ed, I wonder about how we understand these practices as informing what we do. A faculty member of our GE Comm class saw that a student had created a Facebook group for the course that semester. It was very active with students sharing tips and notes. It was their social space centered on the class, of 1000 students. Even when he joined, as he already had a FB account, it still stayed very active. At the end of the semester, he asked to take it over administratively for the next semester in hopes of creating the same experience. It became a graveyard. Another faculty member tells me that he cannot get his students to engage in meaningful discussions in the Blackboard discussion board. Another says she's had great success. If we take your historical comparison again, we're better able to reframe our questions away from thinking through the technology/media. It's clear that what was going on was not about the notes, the phone, FB or BB's discussion board.